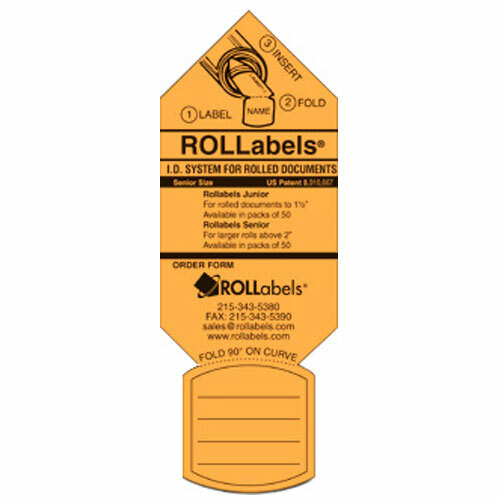 If you have an identification crisis with your rolled drawings, maps and documents, then ROLLabels can help get you organized quickly and easily. Junior ROLLabels Blueprint ID tags slip into rolled documents or drawings under 2" in diameter giving you an easy and quick way to view and retrieve the roll you want. 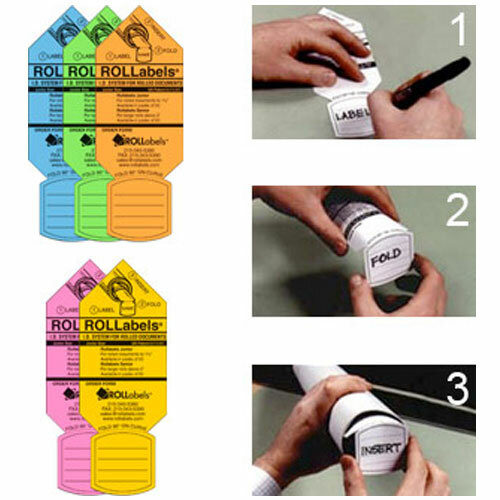 Rollabels are huge time savers.